Sandee has addressed the Tucson Dowers for several years, including several General Meetings and Workshops. She is an Amazing wealth of knowledge and history of Dowsing and has traveled the world to meet and educate others with her sacred knowledge. Details of Sandee’s talk at the Tucson Dowsers General Meeting will be provided soon. My adventure of dowsing started in Benson, AZ, in 1968. Working for the phone company. I was called out to locate a phone cable. A teacher from Benson was using a set of L Rods, and I was using a old buzzer box. The teacher was faster and more accurate than I. So, he offered to show me how the use the L Rods. My supervisor at the time did not care how I located the cable, but I still had to dig down and put my hands around the cable to verify the location. In the following two years the L Rods never failed me. If it works just use it. I have held the office of President, Vice President, Treasurer, Librarian and Instructor for the Idaho chapter of Dowsing and I have successfully dowsed for water in the states of AK, WA, OR, MT, AZ and ID. Sue Trumpfheller, an author coach, teacher and a dowser for many years. She has spoken and teaches color, dowsing, labyrinths. Her books include 99 Ways to Use a Pendulum, Discover the Pendulum and Discover Color. She is currently working with water issues and a movie. Sue uses intentions with her coaching clients to assist them and to empower their decisions. Her chi energy Products – Designs for Your Well- being are based on her knowledge of the power of intentions. Creating intentions will improve your dowsing No matter the project or question. Having clear and well defined intention(s) enhances how you word your question. It also improves your accuracy, the truth. Intentions define the questions. I’ll share lots of examples of how intentions work. Let’s get interactive and clarify and fine tune your projects. I’ve done this before and the results were amazing. Everyone learns from others projects. We will explore the WHY of dowsing too. We’ll be drawing on ancient wisdom to reawaken us to tap into our body’s natural subtle energies as we make the smallest to the biggest choices every day. Whether it’s buying the right brand of aspirin or deciding where to go on vacation, Dowsing is the resource you need. And, the best part is you learn new ways to approach old problems. Learn how you check your home for geopathic zones. This talk shows you how to check your home for geopathic zones of all types, micro currents and overall EMI and RFI in the home. Many times it has been shown that health problems for some persons are either caused by or negatively affected by these conditions. Most of these problems can be remedied by using dowsing (preferably “L” rods), simple electronic devices or rearranging some rooms in extreme cases. These conditions also affect the sale ability of homes, especially those individuals that sense something feels wrong in the home but cannot put their finger on it. Master and Shaman, Dave practices Gemstone Divination where your subconscious picks the stones to give you the message that you need to hear. The reading takes into consideration parts of your past, present and future, that are affecting your life today. These readings have been called “Freaky Accurate” and “Right on Message.” See what message spirit has awaiting you in his reading of the gemstones. Dave also provides Reiki sessions at your home or his, as well as past life regressions that include Quantum Healing of your entire body. Dave is the owner and founder of the Tucson Metaphysics Fair. The Tucson Metaphysics fair is located in the Best Western Hotel, 6201 N Oracle Road. Fair dates are on the 3rd and 4th Sunday of each month, from 10 am to 4 pm. Are you curious about dowsing? Do you have questions you’re itching to ask regarding a dowsing technique/approach/method? Want to share what you know or something special you’ve discovered with others? Here’s your chance! For our last Tucson Dowsers General Meeting this season (2017-2018) we will be having an open “round table” discussion about dowsing, which may include other energetic systems. Come and share with everyone your dowsing knowledge, questions, methods, ideas, experiences, or whatever suites you. This will be a gathering of like-minded people where you can feel free to exchange openly with others. Be sure to bring your pendulum and other dowsing tools. What a great way to begin the summer! The merging of dowsing and astrology is a natural joining. As a dowser deeply bonded to my pendulum, I have found the universe ready, willing and able to aid me in acquiring information about almost anything. In my Astrology-Life sessions, the divine gift of dowsing allows me to find and set the most appropriate priorities from the vast spectrum of astrological data and methods available. When analyzing an astrology chart, dowsing allows me to arrive quickly at the best understanding of various heavenly influences, focus info into the most beneficial answers to a client’s questions, and correct missing birth data such as dates, times, and locations. The possibilities are quite endless! At the May Tucson Dowsers General Meeting, please join me as I explore with you the tenants of astrology blended with the divinational powers of dowsing. The objective: to find EXACTLY the correct information you need. Astrology and dowsing are the ultimate integration! Want to realize your potential as a human being? Do you have burning questions about your life, family, relationships, career, money, health, property, or other concerns? The phenomenon of astrology is increasingly recognized a potent means of gaining insightful information about almost anything. Armed with the ancient wisdom of Tropical and Sidereal astrology, Dan has fused his astrological talents with skills as a multi-dimensional clairvoyant to provide what he calls Astrology-Life consultations. In these sessions, the full array of astrological information acquired from eons of observational data is now successfully merged with the infinite information field of spirit. Your astrological chart will be the launching pad for a journey into deeper communion with your soul, revealing your true life mission. What questions do you have? Ask and the universe will convey the answers through an Astrology-Life session with Dan. Dan Brock provides Astrology-Life consultation sessions and other energetic services, such as Space Clearing and Spiritual Advocacy. He can be contacted via email at dan@dlbrock.com, by phone at 323-600-4493, or you can visit his web site at dlbrock.com. At her home in Tucson, Master Dowser Marge Hefty will conduct this workshop for advanced dowsers on the details of advanced dowsing techniques, including field dowsing. Please note that this is an advanced class and basic dowsing will not be covered. In this OUTDOOR class, Marge will cover how to ask and focus on whatever it is you are looking for that is lost, hidden or underground. She will present various methods of detection, such as map dowsing, and approaches to looking for water (including location, depth and qualities). Since this workshop will be conducted outside, please wear appropriately comfortable attire and bring your personal dowsing tools (Pendulum and L-Rod for sure). This is your chance to join Marge and partake in this rare opportunity to learn advanced dowsing techniques from one of the most experienced dowsers in the Southwest! For more details and to register for the workshop, Marge can be contacted in person at our monthly General Meetings and/or via email at marjoriehefty@gmail.com. Intuitive Consultant Marilyn C. Phillips will introduce us to The Sacred Science of the Cards which are invaluable windows to the soul. You will be able to realize the true power of this profound system through the carefully considered use of an ordinary deck of playing cards. as to how we play the hand. With over 25 years of daily connection to this unique divination system capable of peering under the veil of destiny, relationships, and love, Marilyn will touch on what you can learn about yourself and others, as well as discuss the base form of a approach to conducting your own readings easily. There are four great book resources she recommends that have valuable details on the application of The Sacred Science of the Cards. These resources are a great starting point on your journey of discovery as to the true power of playing card readings. Please join Marilyn for this exciting day of learning how to use playing card readings as a means of discovering the nature of your place in the human world and vast universe! Marilyn lives in Tucson, AZ and can be contacted via email at healingsanctum@msn.com. 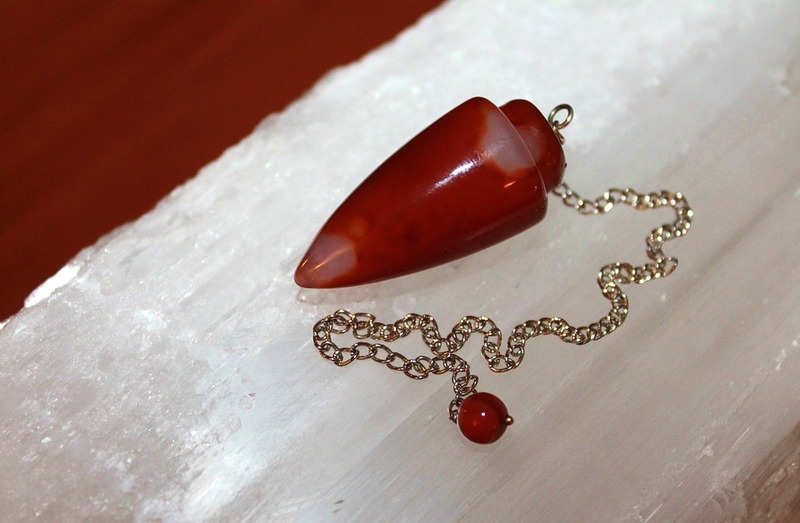 Are you ready to learn the ancient yet timeless art of dowsing? Far more than just “witching” for water, these are time-honored skills for discerning information not ordinarily available with the five senses. In these 2 remarkable days you will learn!!! History, concepts, & principles to become a highly skilled dowser. Hands-on training & practice with several kinds of dowsing tools. Skills to detect & block unbeneficial energies in your home & environment. Actual field experience & practice indoors & outdoor. Attendance is limited to optimize individual attention…register early!  A selection of quality tools will be available for practice or purchase at the class…all other class materials are included in the fee. Sandee Mac’s web sites are designanewdestiny.com and sandeemac.com and she can be contacted for registration via email at sandeemac100@gmail.com. She can also be reached by phone at 505-577-5775. Melissa is an experienced dowser and became well known in finding objects for people across the country. Melissa believes that many people are energy sensitive. Because everything is energy, we have the ability to detect it, transfer it, and/or change it. She has several unique techniques she incorporates in dowsing. She incorporates the Kabbalah with the human body’s and Hartman Curry energy grids to change, redirect and transmute detrimental energies and enhance beneficial energies. Join in her journey for discovering the universal energy. Melissa Rogers has had a successful career in the Alternative Wellness industry for over 20+ years as a practitioner and educator. She has BS from Tusculum College and has held several certificates and licenses in multiple alternative therapies. She studied with some of the top scientists in Quantum Mechanics and Alternative Wellness around the world. In her mainstream products, she utilizes small signal technology uniquely combined with advanced science technology to develop products that help balance the body’s intrinsic energies, transmute pain, deter insects, and numerous other applications. After successfully launching over 12 products into the retail mass market, she was hired to develop more than 10 products for main stream companies. Many of her products have won prestigious awards, have positive peer review and have been University tested with high efficacy evaluations. Melissa can be contacted via email at mmrgalleryart@gmail.com or via phone at 512-608-3550. SRT is a system used to locate, identify, research and clear program blocks, interferences, belief systems and imbalances within the subconscious mind and soul records. Life time records that run negative programs, energy or beliefs, tend to keep a soul stuck, stagnant or trapped in limiting behaviors and situations. These programs replay over and over in one’s lifetime. Often times, a soul does not realize this is taking place. As an SRT Practitioner, Karreen can connect with the individuals High Self Committee to clear, release and remove old patterns, blocks and interferences. Clearing and releasing old beliefs and programs allows the soul clarity. Change in attitudes, judgements and perceptions take place, making life more enjoyable. The physical tools of SRT include a pendulum and a set of 41 charts. The tools help to investigate present or past life energies that may contribute to mental, emotional and or physical problems. This process has the ability to address conditions such as allergies, dis-ease in and of the body, relationship issues, prosperity blocks and phobias, allowing energy healing and spiritual healing through the process. Please join us for Karreen’s presentation on SRT! Karreen’s journey to spiritual awareness began as a little girl who could hear (clairaudient) and feel (empathic) the subtle energies of the trees, animals, rocks, individuals and spirit guides. Karreen’s skills enhanced after the death of her first brother in 1999 and the death of her second brother in 2004. Communicating with deceased family members and not understanding what was going on, Karen was led on a spiritual journey of discovery. Spiritual Response Therapy (SRT) and Spiritual Restructuring (SpR) were intuitive systems and tools Karreen used to reach and connect on a higher vibrational spiritual realm. Karreen Martin is a Licensed Acupuncturist and Massage Therapist and has worked as an SRT Practitioner since 2001. Karreen Martin can be contacted via email at karreenandco@gmail.com , her web site is www.karreenandco.com , on Facebook as Karreenandco , on Twitter at karreenandco , and via phone at 520-327-4649. What alternative tools are available to us in addressing the range of ailments we experience in life? From his many years of experience in alternative healing and as a Naturopathic Medical Physician, Dr. Sheldon Deal will be presenting a variety of techniques and methods that can be employed to aid us on our healing journey. He will discuss the use of magnets and crystals, how Muscle Testing or Applied Kinesiology can aid the entire healing process, the use of LASERS, the surprising role Cubits play in our life, present a “Injury Recall” technique, as well as cover ionization/polarity of the human body and even spitting of the atom!. Please join us for this rare opportunity to explore the diversity of knowledge and experience Dr. Deal will present at our next General Meeting. A 1965 graduate and valedictorian of the Los Angeles College of Chiropractic, Dr. Deal spent two years of clinic internship at the Glendale Chiropractic Clinic, Glendale, CA and is licensed as a Naturopathic Medical Physician as well as a Chiropractor. Opening his natural healing private practice in Tucson in 1967, he prides himself on keeping on the cutting edge of the research from around the world with a busy travel schedule lecturing abroad numerous times during the year. In addition to being a diplomate in pain control and nutrition, Dr. Deal is currently president of the Examining Board for Diplomats in the International College of Applied Kinesiology and a member of the Metabolic Research Foundation. He is a physical fitness enthusiast and has been instrumental in forming local organic gardening clubs and chapters of the National Health Federation. He has authored two books on nutrition and one on Applied Kinesiology. Dr. Deal can be contacted through the Swan Clinic of Natural Healing in Tucson, AZ and on the website www.swanclinicaz.com. Ever feel like you’ve been stuck or held back in manifesting your financial abundance? Perhaps you’re just resigned to a lower level of earning ability. Maybe you’ve tried hard, but never broke through your glass ceiling. It can be SO frustrating….even HEARTBREAKING! You’ll leave here with a WEALTH of information, tools & changes to manifest your financial goals & finest dreams. DO NOT miss it! Sandee Mac’s web sites are designanewdestiny.com and sandeemac.com and she can be contacted via email at sandeemac100@gmail.com. In this workshop by Sandee Mac, she will expand on the concepts of manifesting abundance in your life that she introduces at our Tucson Dowsers General Meeting on Saturday, November 11th (see above), along with in-depth techniques on how to clear blockages on all levels; lifetimes, vows, beliefs, curses, etc. Learn how to open up your life to the wonders of personal abundance! Dan’s understanding of how the universe functions and how man fits into the universe has enabled him to understand dowsing and how it operates. Mr. Davidson has been doing research in gravitational physics, free energy systems, and electronic medicine for over 35 years. He has concentrated his research efforts in understanding the basic structure of the universe, the nature of energy, and how it relates to the forces of gravity, electricity and magnetism. Over the years of research he has witnessed and collected many fascinating stories of well documented bizarre incidents that point to a new understanding of science. He believes that the scientific community is in the process of developing a new paradigm in our understanding of nature which will radically change the physical sciences. His degrees in mathematics and electrical engineering have provided a basis to relate orthodox science concepts to advanced experimental research. Mr. Davidson is a strong advocate of experimentation and always backs up his theory with actual working experiments and publishes experimentally verified information. Shape Power – Dan’s latest book detailing how shape converts the universal aether into other forces, proven how the pyramid energy is created, shown that energy conduits exists between our sun and other stars which lead to a hyperspace drive. Energy: Breakthroughs to New Free Energy Devices – A summary of proven free energy inventions into the 1970’s, John Keely’s amazing discoveries, Schauberger’s Zokwendle, and many other tidbits. A PDF version of Dan’s Power Point presentation “Dowsing is One Method of Getting Inner Guidance” made at Tucson Dowsers General Meeting on October 14, 2017. This will be very useful in recounting the multitude of topics and detailed points Dan made during his talk. A PDF called “Etheric Protection of Treasures” which further details the principles behind and methods of dealing with various forms of psychic protection placed around hidden objects, a topic discussed briefly by Dan during his presentation. A PDF of Dan’s three page discussion/handout on the nature of the Higher Mental Body and it’s relationship to the Christ Self. A PDF description of the M3 “Miracle Manifestation Medallion” device. A PDF description of the P3 “Planet Purification Projector” device. A PDF describing both the AAD “Auric Aura Device” and the ARW “Auric Ray Wand” devices.